iOS developers and enthusiasts, join us on June 6th, 7:00 to 9:30pm for iOS Tech Talks. 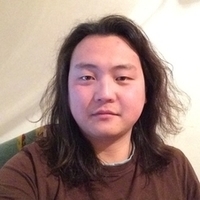 Altaibayar Tseveenbayar, a Toptal developer, will give a talk on Flutter — Google’s SDK for creating native iOS and Android apps from one codebase. Petr Sima of Ackee will also speak, with a talk showing how to communicate with Ethereum from iOS devices. This is a great opportunity to meet local experts and Toptalers, and an ideal chance to invite guests who may be interested in learning more about Toptal. Please RSVP on Meetup to give us an accurate headcount. For questions regarding this event, please contact the event organizer. Your message to Altaibayar was sent.